For more information about the Bread Share, please visit our website. If you have other questions, feel free to contact us here or by calling 781 893 1162 ext 1. 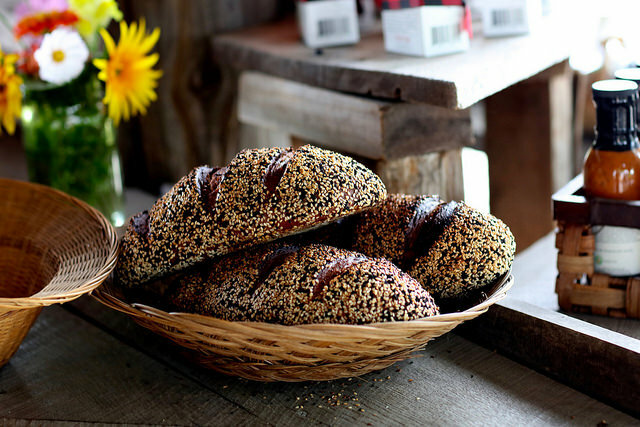 Local bakery Bread Obsession provides artisan bread, made by hand, one loaf at a time. New this year, you can purchase multiple Bread Shares. All Bread Shareholders are required to have a Land's Sake Membership for 2019. Your Membership supports all of Land's Sake programs, and you get Member Benefits! If you want to review Member Benefits, please visit https://landssake.org/membership-2/. $0 - Already a 2019 Member: Please choose this option ONLY If you renewed your Membership for 2019. If you were a Land's Sake Member in 2018, your Membership expired 12/31/2018. Bread Shares are available for pick-up at the Farmstand only during my selected pick-up day and time. Due to the earlier fall sunsets and loss of daylight, starting the week of September 10 and continuing through the week of October 15, the Farmstand and CSA tent will close at 6 pm instead of 7 pm on Tuesdays and Thursdays. If there is a day when I can’t pick up my share, friends and family may pick up my share for me. There is no need to notify Land’s Sake of this change. If I (or my friend/family member) can’t pick up my share and if I ask two days in advance, Land’s Sake may be able to accommodate occasional switches to another Bread CSA pick-up day in the same week. Switch requests may be sent to csa@landssake.org. I will come only during pick-up hours to collect my share. Land's Sake cannot accommodate early birds or latecomers. Please help us be green and reduce waste: Bread Shareholders are encouraged to bring their own bags or boxes to collect their bread. If I have any questions about the Bread Share, I may contact farmstand@landssake.org, but I understand that it may take up to two business days to receive a response. Our email newsletters help keep you updated about everything that's happening at Land's Sake. By submitting this form, you agree that the email address you entered will remain on, or be added to, the Land's Sake email newsletter list. You may unsubscribe at any time by clicking on the "unsubscribe" link at the bottom of the emails -- but please know that unsubscribing means that you won't receive any of our email newsletters. If you have previously unsubscribed with the same email address that you entered, we will not be able to re-subscribe that email address.